While iOS hackers are often a thorn in Apple's side, sometimes the Cupertino company acknowledges that their expertise could actually be of value, and it offers them a job. 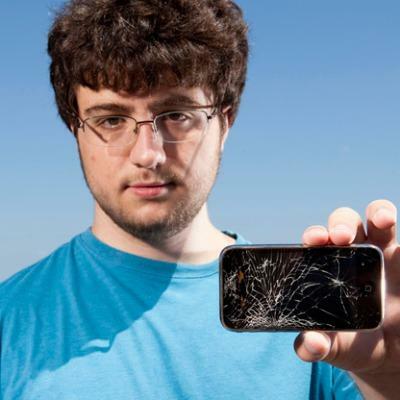 That's what happened to 20-year-old Brown University student Nicholas Allegra, better known as legendary iPhone jailbreaker Comex, last August. After a year with Apple, however, Comex no longer works for the company. The reason for his departure? He forgot to reply to an email. In messages posted to Twitter, Comex explained: "So… no point in delaying. As of last week, after about a year, I'm no longer associated with Apple." He continued: "As for why? Because I forgot to reply to an email." That email was offering Comex the opportunity to extend his employment with Apple as a remote intern — and he forgot to reply to it. And at Apple, offer letters are taken seriously, Comex explained to Forbes, and the company doesn't like them to be ignored. Needless to say the offer was rescinded. "I wasn't too happy about it, but it didn't seem like I was able to fix it," Comex said. "So that's what it is." Comex did note, however, that his departure from Apple was "more complicated" than just that forgotten email. He insisted it "wasn't a bad ending," and that he enjoyed his time in Cupertino, but he chose not to disclose any more information. He also wouldn't reveal what he worked on during his time with the company, but that's to be expected given Apple's strict non disclosure agreements. Comex was the mastermind behind the hugely popular jailbreaking tool JailbreakMe, which allowed iOS users to hack their devices simply by visiting a link in the built-in Safari web browser. One security researcher, Charlie Miller, said Comex was "years ahead" of other iOS hackers. But when Comex decided to switch sides and join Apple, he waved goodbye to iOS jailbreaking for good. Despite no longer working for the company, he believes his contract with Apple prevents him from any future work on reverse engineering its products. "I don't know whether or not it's against the terms, but it probably is," Comex said. Instead, Comex is now choosing to focus on his studies at Brown. But he may not be out of the hacking scene altogether. Following his announcement on Twitter, Comex posted another message that suggested another possible target. It read: "So… I hear the Wii U is coming out in a month."